Ardell Lash Trios Individual Long Black Lashes offers three times the speed! Triple fast and easier than regular individual lashes. Individual Trios is an all-in-one pack for lash customization! Get ready in 1, 2, TRIOS! These lashes are available in short, medium and long to add instant density for versatile lash customization! Ardell Lash Trios Individual Medium Black Lashes offers three times the speed! Triple fast and easier than regular individual lashes. Individual Trios is an all-in-one pack for lash customization! Get ready in 1, 2, TRIOS! These lashes are available in short, medium and long to add instant density for versatile lash customization! 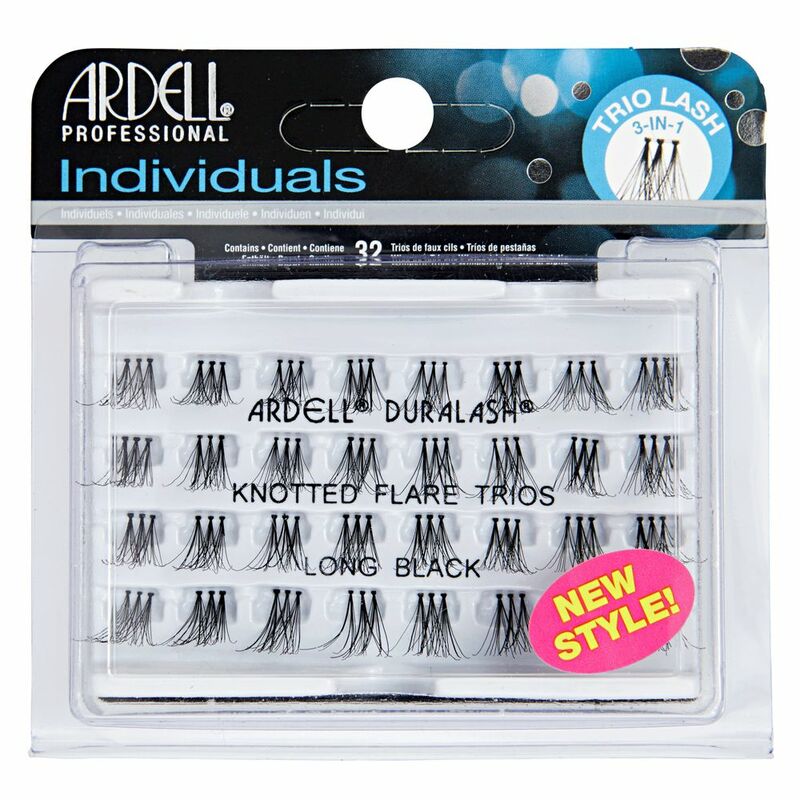 Ardell Professional Lash Trios Individual Short Black Lashes (62157) offers three times the speed! Triple fast and easier than regular individual lashes. Individual Trios is an all-in-one pack for lash customization! Get ready in 1, 2, TRIOS! These lashes are available in short, medium and long to add instant density for versatile lash customization!